Low humidity and high temperatures are devastating to acoustic and classical guitars! 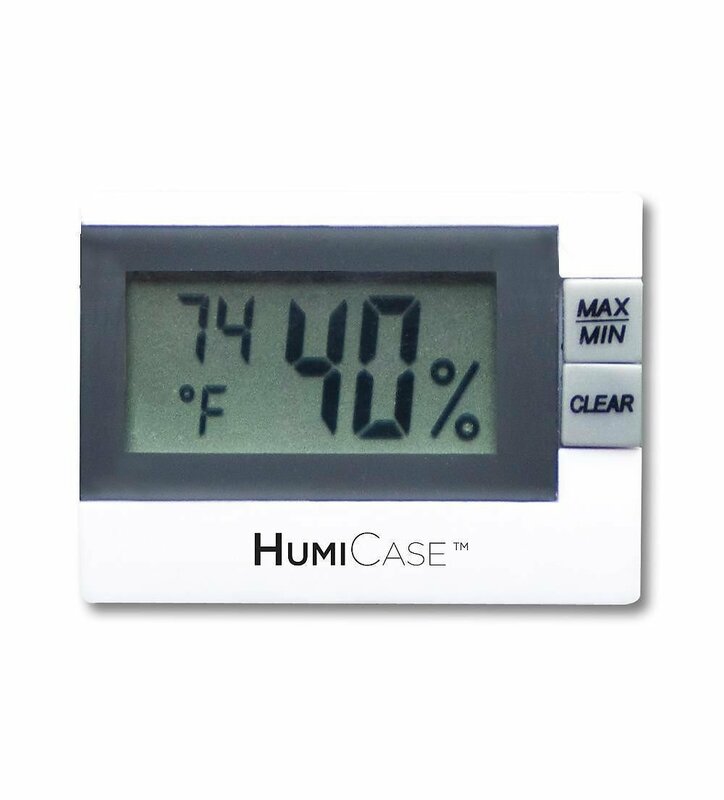 The HumiCase Digital Hygrometer/Thermometer accurately monitors and records the climate surrounding your guitar by measuring both temperature and relative humidity. The unit also records the maximum and minimum levels of each to provide visibility of these levels over several hours. The compact size (2.25”w, 1.75”t, .8”d) is specially made to fit the insert slot in all HumiCase guitar cases. It also easily fits in other guitar cases or sits on flat surface with built in kick-stand. Super fast free shipping to Continental USA.